Social Media Training Course – New! Update (Feb 15, 2018): Due to unforeseen circumstances, we will need to cancel the meetup this February 22 and move it to March 22, 2018 (Thursday). Venue (Work/With) and Time (6-9pm) will not change. For those who paid already, we will refund your money, or, if you are attending, apply it to the meetup fee. 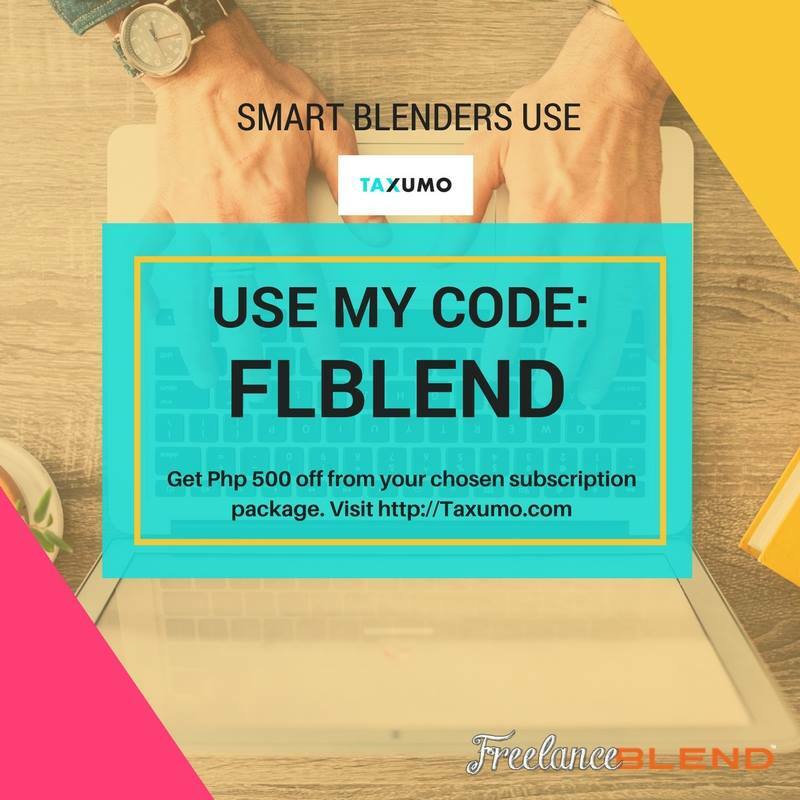 Please email us at freelanceblend@gmail.com for refund processing. Lastly, the early bird rate will be extended up to March 10, 2018. We apologize for the inconvenience. Thanks. 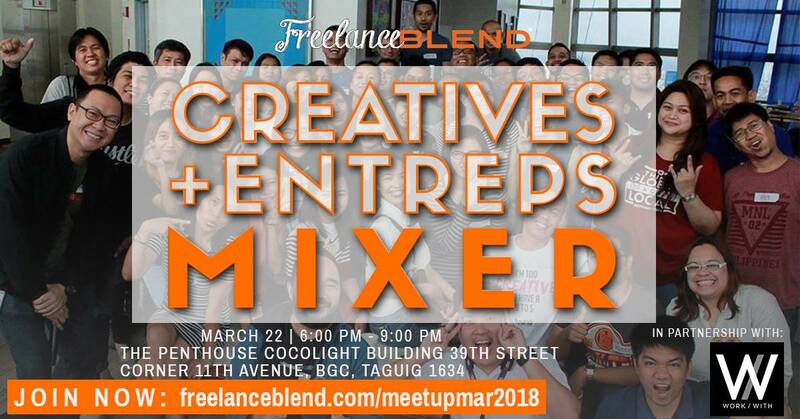 Are you an Entrep (a solopreneur, small business owner or startup founder) and you would like to hook up, collaborate, and engage with various Creatives in just one night? Or are you a Creative (a designer, writer, developer or freelancer) and you would like to step out of the house, grow your network fast, rub elbows with fellow creatives and start getting gigs from thriving Entreps? We all need to take a break and disconnect from the digital world and we need to connect with real, living and breathing human beings. 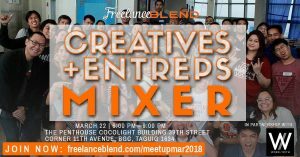 If you want that, then please join us and be one of us in our popular monthly meetup series: The Creatives + Entreps Mixer! 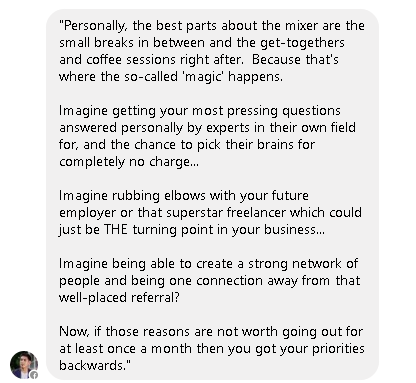 Here are more reasons why you should join the mixer…. 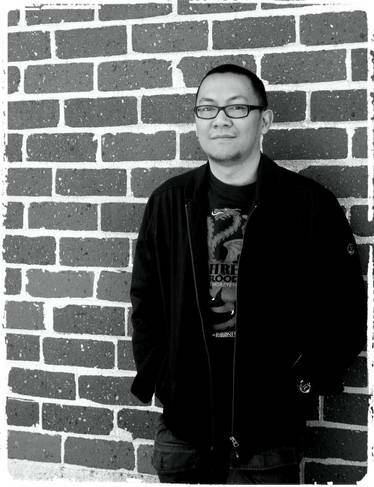 Do you have a business problem that can be solved by a creative? Then meet, “interview” and qualify indie contractors face-to-face in an informal setting. Are you having difficulty getting hired by clients? 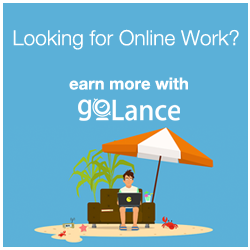 Then get the chance to be hired on-the-spot by entrepreneurs who are searching for freelancers like you. Share war stories and participate in smart and engaging discussions with like-minded individuals. 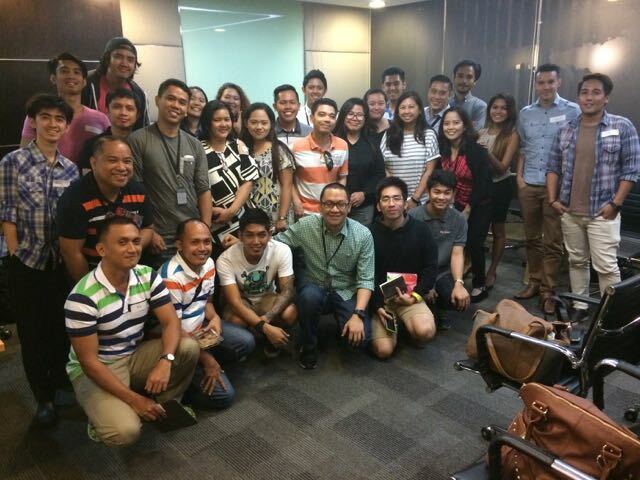 Form your own mastermind group with people who are as passionate and as driven as you. Simply mingle, have fun, and develop new business relationships as well as lifelong friends with the regulars and new members. What help can you offer to someone in the group without any strings attached? (e.g. FREE advice, tips, coaching, your service or product, etc.). No selling please. Then, during the introductions, you will be asked to share your answers. After everyone has taken their turn speaking, it’s a free-for-all. Approach the person you want to talk to or converse with someone who wants to talk to you. It’s that simple. When and Where is this Meetup? We will be collecting a small, Early Bird Fee of Php350 per person to cover for the venue and simple food and drinks during the meetup. 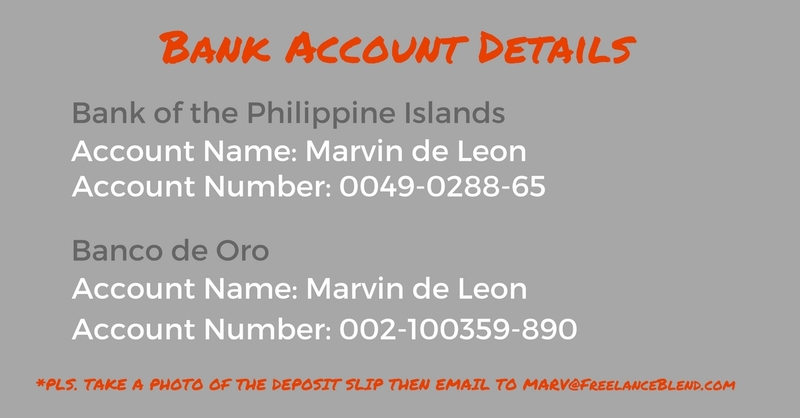 You can reserve instantly by sending us a payment via Paypal (Php350.00 or Usd7.00) to marv@freelanceblend.com or via bank deposit (please see bank account details below). The early bird fee ends TWO WEEKS before the meetup — on 10 March 2018! 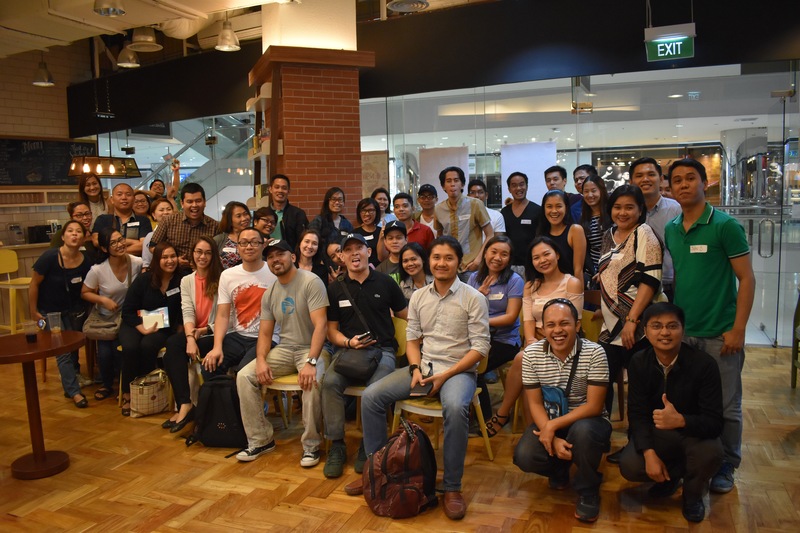 After that, the Meetup Entrance Fee goes up to Php 550.00. We can only accommodate a maximum of 30-50 people so please RSVP immediately so we can reserve your slot. If you are still not sure, please cancel your RSVP to allow others to join. Paid RSVP’s will be given priority. See you at the meetup! P.S. Again, please RSVP and settle soon to reserve your slot. We may refuse entry at the venue for those who were unable to do so. DO YOU WANT TO SPONSOR OUR EVENT? We are also accepting sponsors for this event. If interested, please email me at marv@freelanceblend.com. Join our Blenders Group on Facebook! Hi there! 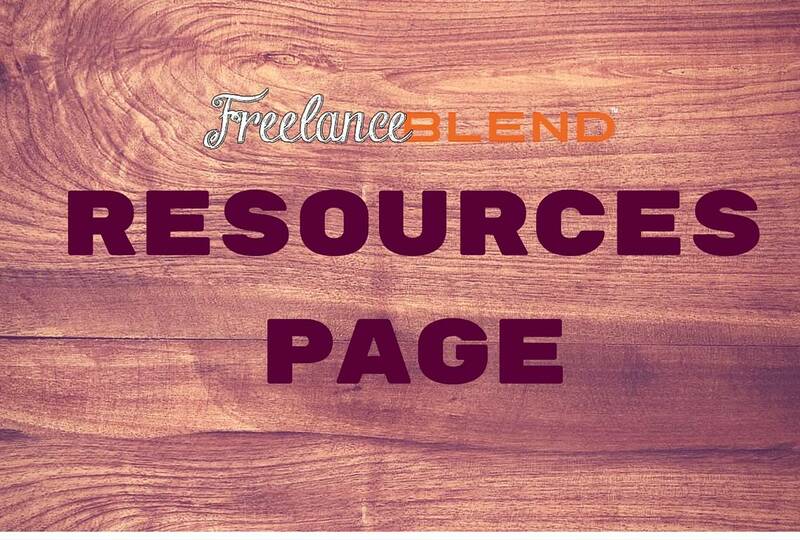 Welcome to Freelance Blend! Are you a cubicle slave thinking of leaving the 9 to 5 to start your own cyber business? Or are you a full-time freelancer running your own freedom business? 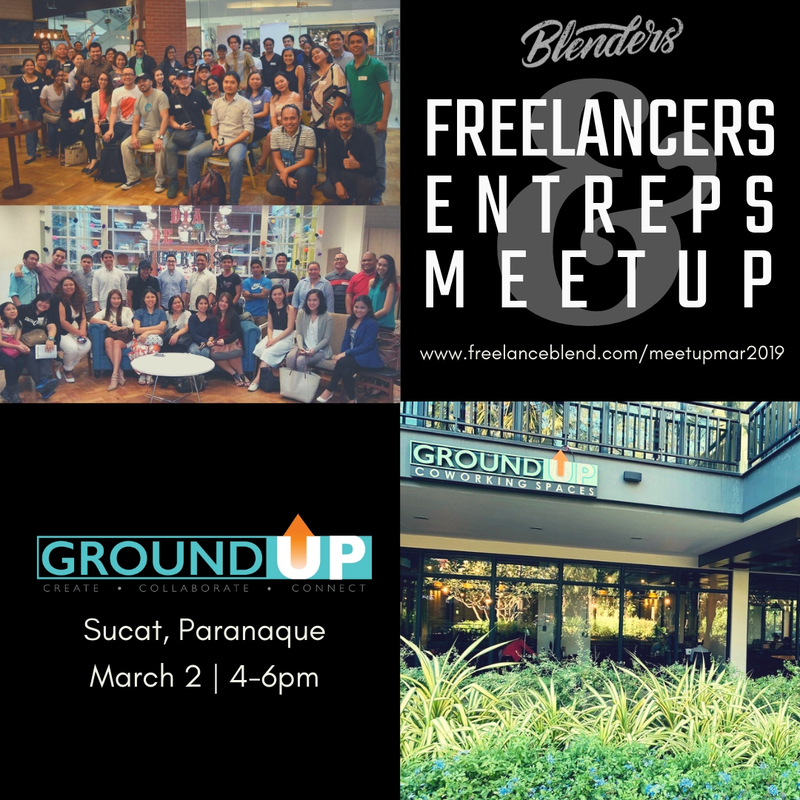 Join thousands of freelancers at Freelance Blend and receive your regular dose of tips, inspiration, meetups, learning events and even entertainment! Be part of an online revolution that is taking the country by storm! 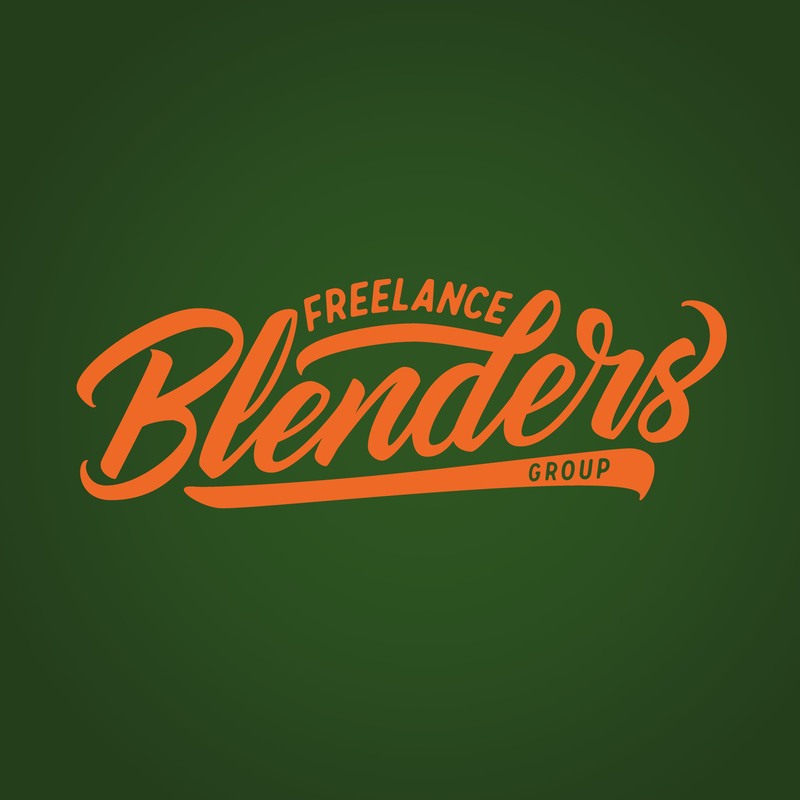 Be a Freelance Blender!